Actually, neither one of these things is a mountain lion. 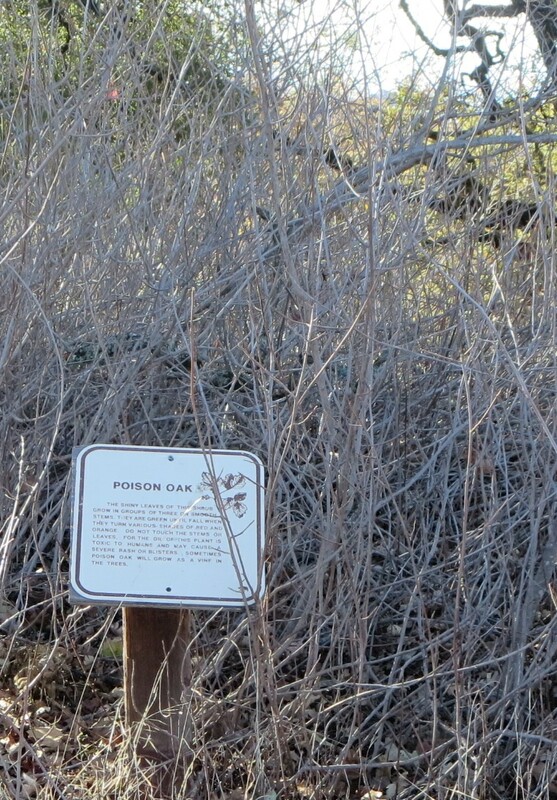 Below is a sign in Fremont Peak State Park on the other side of Salinas from there. 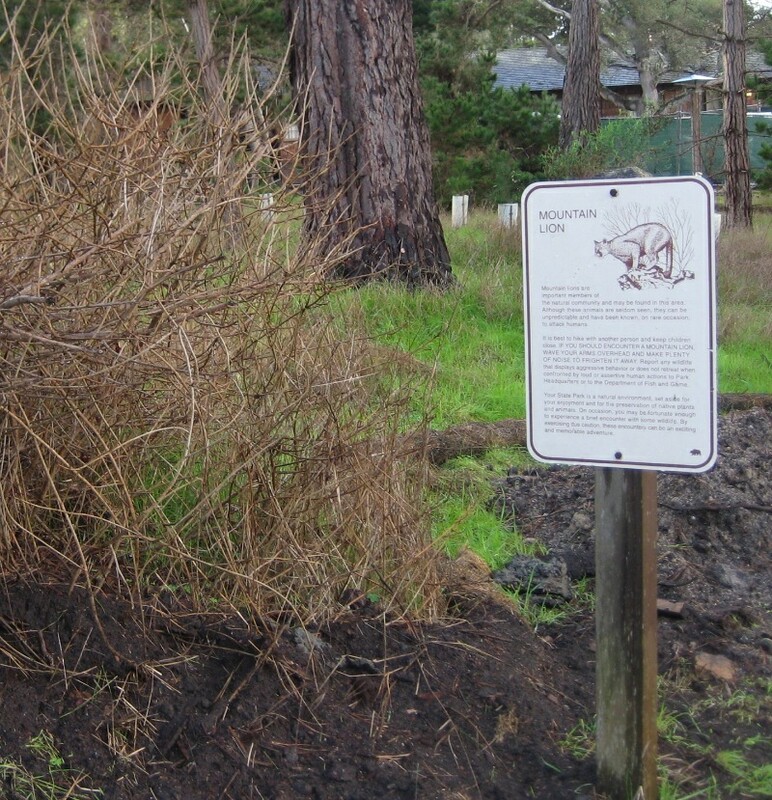 Each one of these signs marks a huge patch of poison oak, which can release dangerous oils from the stems even when not in leaf. By comparison with which, who’s afraid of a little old mountain lion? This entry was posted in Uncategorized on November 29, 2013 by Martha Bridegam.